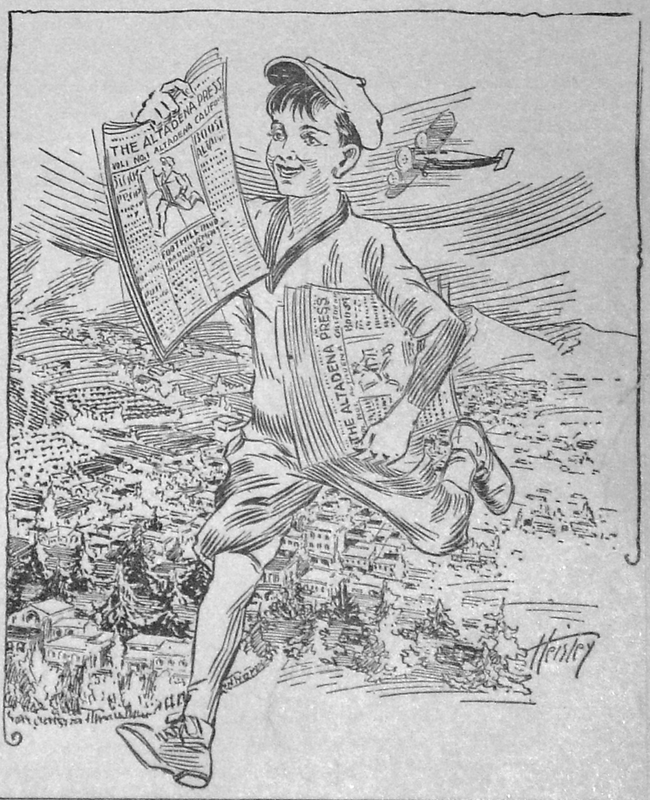 Don't miss Altadena Historical Society's newest exhibit at Websters Community Pharmacy, 2450 N. Lake Ave., Altadena. 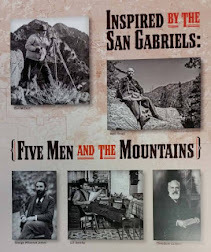 It includes an overview of the Mt. Lowe Railway told in vintage postcards. The Mt. 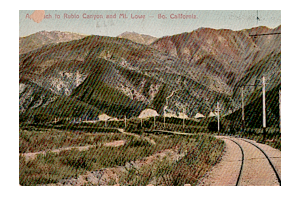 Lowe Railroad was set amid the spectacular beauty of the San Gabriel mountain range, about 2000 feet above Altadena. The vision of entrepreneur Thaddeus S. C. Lowe and civil engineer David J. McPherson, it was one of the most amazing engineering marvels ever built. 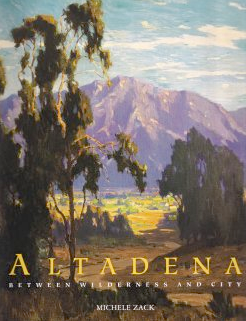 Opened in 1893, the attraction featured seven miles of track and four hotels with tourists boarding the train in Altadena at the northwest corner of Lake and Calaveras. 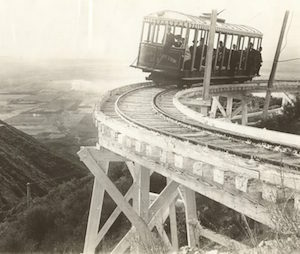 A trolley extended up Lake, then curved at what is now Dolores Street then on to the mouth of Rubio Canyon. what is today Mt. Lowe Parkway. 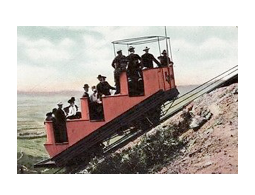 A cable car funicular climbed a 59 degree incline to the top of Echo Mt. promontory, where passengers disembarked to enjoy breathtaking views of the valleys below, stay at one of two hotels, or board a narrow gauge railroad that took them on a four mile ride to Alpine Tavern. 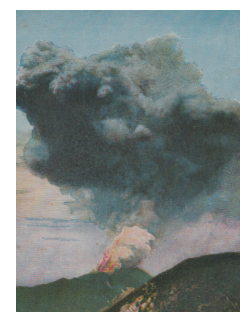 Beginning in 1900, just seven years after the attraction opened, fires, floods, high winds and rockslides destroyed one building after another. By the mid 1930s all the structures were gone and in 1938 the railway was officially abandoned. 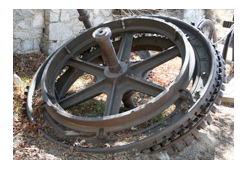 Today only a few foundations and artifacts are left for hikers, railroad buffs and history lovers to enjoy.